Interested in using webinars to deliver distance learning? 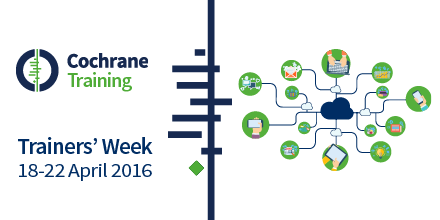 This brief webinar from Cochrane's Trainers Week 2016 offers an introduction to delivering training using webinars. Hosted by Chris Watts from Cochrane's Learning and Support Department, the sessions includes practical advice about different tools, techniques and good practice. You can watch an edited video of the webinar below, and also download slides from the session. There is more support and resources for people running webinars in our Webinar Support and Resources pages.